I am a systems ecologist, specializing in estuarine and coastal systems. My early interests were shellfish and salt marsh ecology, but I am broadly interested in flows of carbon and nutrients in estuaries, how organisms affect these flows, how humans influence these processes, and their importance on a global scale. I use field observations, lab experiments, and geochemical techniques to examine environmental change. "Evaluation of Ecosystem Services Associated with Shellfish Culture Operations in Coastal Regions Served by the National Estuarine Research Reserve" (NERRS Science Collaborative, Lead PI). This project brings together scientists, shellfish growers, resource managers and other stakeholders to examine ecological impacts of the expanding shellfish aquaculture industry in North Carolina. Scientific collaborators are Posey, Alphin, Brander, Volety, Puckett, Bricker and Ferreira. There will be a number of opportunities for undergraduate research on this project. E-mail me for more info! 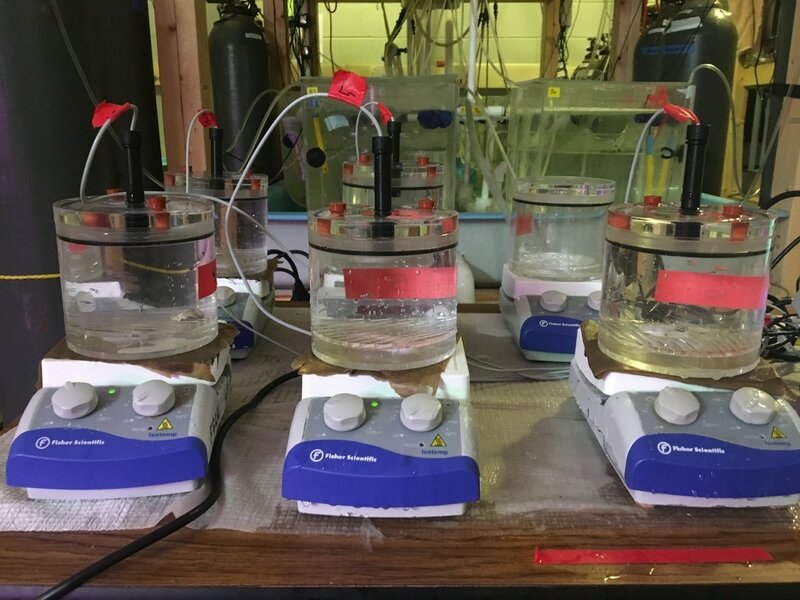 Caloosahatchee Oyster Monitoring Network (collaborators Volety, MacFarland): Analyzing 15-year oyster monitoring dataset from the Caloosahatchee River Estuary in southwest Florida, to determine effects of freshwater flow on oyster population dynamics. Effects of ocean acidification (high pCO2) and other factors (salinity, food availability) on shellfish physiology, growth, and biomineralization. I welcome research collaborations on topics such as saltmarsh ecology, land-use change and pollution source tracking, effects of shellfish aquaculture, paleoecology, bivalve sclerochronology & mineralization, etc.! A four-year research and management project sponsored by NOAA, partnering scientists and stakeholders from the Grand Bay NERR and surrounding areas to determine how land use change has affected nutrient and organic matter sources and supply, both spatially and temporally. 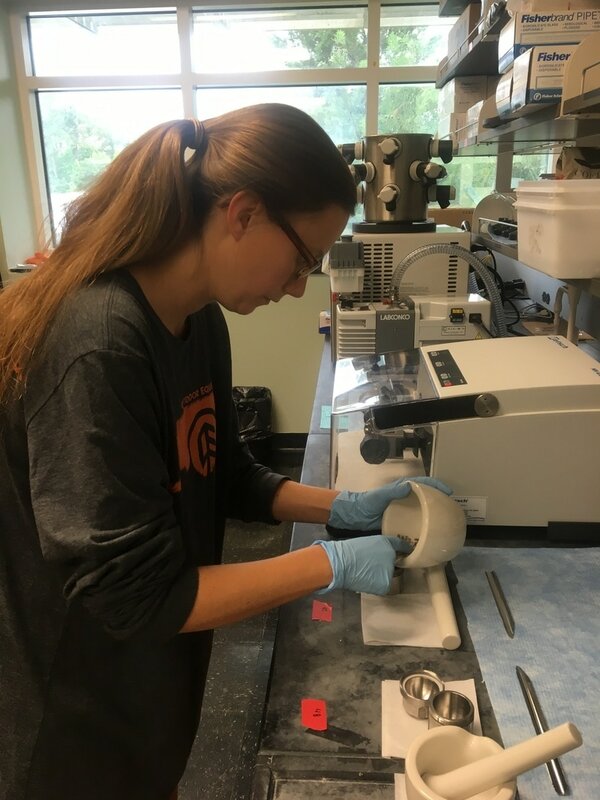 Scientists from Dauphin Island Sea Lab, Food & Drug Administration, Auburn University Shellfish Lab, University of Southern Mississippi, and Grand Bay NERR partnered to collect data and conduct field experiments from 2010-2013. This was an iterative process, where the scientists presented findings to stakeholders each year, and stakeholders helped direct research efforts. In 2014, we held a stakeholder workshop to share our results, and determine how end users would like to apply the information. Currently, the data products are being developed, including scientific journal articles and a tool for predicting how changes in land use (e.g., impervious surface, patchiness) affects water quality and shellfish safety. Please visit (and "like"!) our Facebook page for more information.